Additional Info: Hi ... my name is Greg Denis from Toledo, Oh. USA. 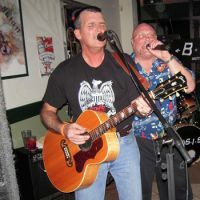 I am 52 years old & have played as a gigging guitarist for many years in the Toledo area. My cover band just disbanded & I'm looking to put together an "unplugged" rock trio consisting of a fantastic lead vocalist , myself on acoustic guitar & backing vocals/harmonies & was looking to add a cellist to fill-out the trio. Would be focusing on classic rock from the 50' to the 80's & would gig 1-2 times per month.